It feels like ages since SES came back to London last February, but I have only just found time to go through the scribbles and notes that I’d taken during the conference. I have managed to pull out my five top takeaways from the event, which I intend to take action on during 2010. I like attending Search Marketing industry conference as it does not only provide you with different insights, new experiences and networking opportunities, but it also helps you remember that you have some skills and knowledge that, for some reason, you are not using to good effect. 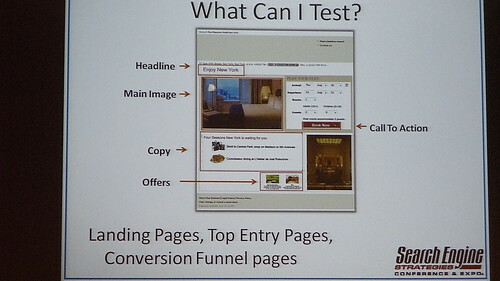 There is great potential in implementing CRO techniques and often the secret is to test more often. Read Bryan Eisenberg’s advice on Mel Carson’s blog post or this other one from Andrew Girdwood and watch the video on top right where Bryan is interviewed by Greg Jarboe. If that is not enough, you may want to check the work being done by Conversion rate experts, which I mention in my recap post from the SEOMoz Pro seminar las October. Tailor your web analytics data reports. Focus on the datasets you need to do your work and then make data driven decisions. Give your boss/client the datasets she/he needs to get their ‘buy-in’ into the SEO campaign you are lobbying for. Use custom filters, advanced segments, custom reporting to drill down and segment your data so that you can focus on what is needed to gain the ‘buy-in’. Try picking more long tails, drawing out more data on them and test their ROI levels upon implementation. To get better at Keyword Research, I would recommend to read Richard Baxter’s posts on vlookups, excel tables and pivot tables. This is a area of Online marketing that I had been ignoring until now but after attending the session ‘New Affiliate Opportunities & Strategies’, I became inspired and noted down some good ideas to take both to my in-house SEO job and to my own sites. Get better at Link building by drilling further on competitor’s link portfolios. Jim Boykin‘s session on link building reminded me that I have to get better and faster at using tools like Linkscape and SEO Majestic to analyse competitors’s link portfolio’s and find those links which my sites also qualify for. 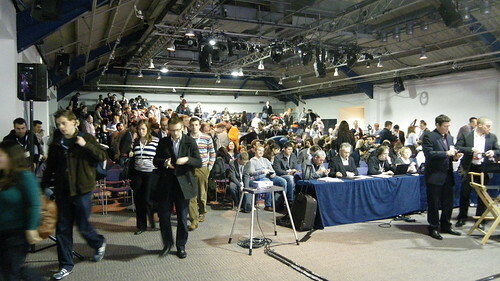 If you would like to read more about SES London 2010, the official full blog coverage from SES is a good start. It feels like ages since SES came back to London last February, but I have only just found time to go through my few scribbles and notes taken during the conference and the various speaker’s slides. I have managed to pull out my five top takeaways from the event, which I intend to take action on during 2010. I like attending Search industry conference as it does not only provide you with different insights, new experiences and networking opportunities, but it also helps you remember that you have some skills and knowledge that, for some reason, you are not using to good effect. There is great potential in implementing CRO techniques and often the secret is to test more often. Read Bryan Eisenberg’s advice on Mel Carson’s blog post or this other one from Andrew Girdwood an watch the video on top right where Bryan is interviewed by Greg Jarboe. If that all is not enough, you may want to check the work being done by Conversion rate experts, which I mention in my recap post from the SEOMoz Pro seminar las October. This is a area of Online marketing that I had been ignoring until now but after attending the session ‘New Affiliate Opportunities & Strategies’, I got inspired and wrote down some good ideas to take both to my in-house SEO job and to my own sites. Jim Boikin’s session on link building reminded me that I have to get better and faster at using tools like Linkscape and SEO Majestic to analyse competitors’s link portfolio’s and find those links which my sites also qualify for. If you would like to read more about stuff that went on during SES London 2010, the official full blog coverage from SES is a good start.